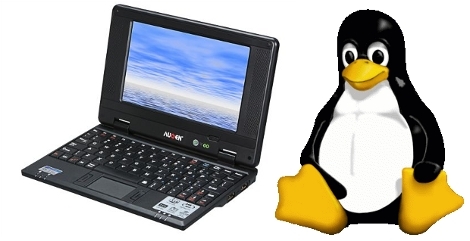 The Augen E-Go is billed as a Netbook that ships with Windows CE. [Moogle] got it to boot the Linux kernel after a bit of hardware snooping. He found a UART connector on the main board and discovered that if you tie the enable pin to ground you can send an ARM bootloader to the device during boot up. His past experience hacking the Didj and the Explorer helped him recognize the processor used in the Augen. This lead to using a zimage from the Didj to boot the Linux kernel. So far the process halts at a kernel panic, but that’s because he hasn’t built the image with a file system for the device yet. 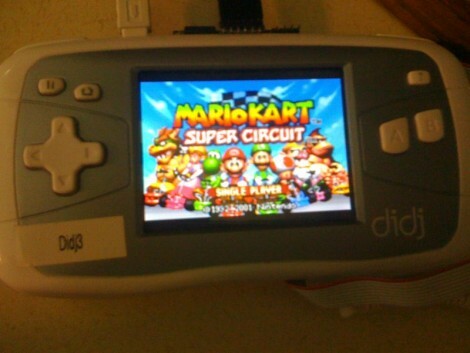 If the E-Go ends up playing nicely with Linux, [Moogle] may have found a suitable replacement for the Zipit. Update: Looks like we’ve got the wrong version of the E-Go pictured above (and linked below). Check out [Moogle’s] comment for model numbers. [Losinggeneration] managed to get a homebrew OpenGL application working on the Didj. 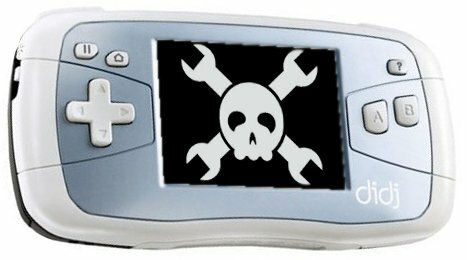 It’s nice to see the community driven work advance on this device but something else also caught our attention from the forum post. Another poster pointed out that [losinggeneration] has files in one of his directories called “glquake-didj” and “glquake-didj.dbg”. 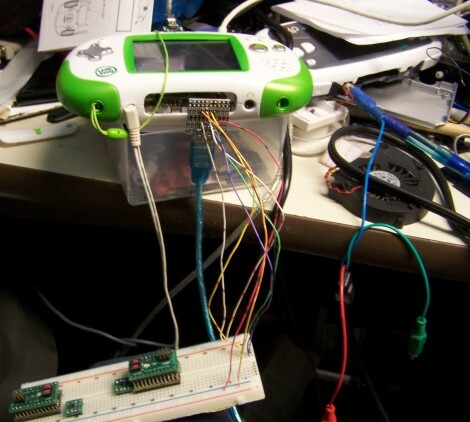 We hope that means a working version of Quake is on the way for the hackable handheld. 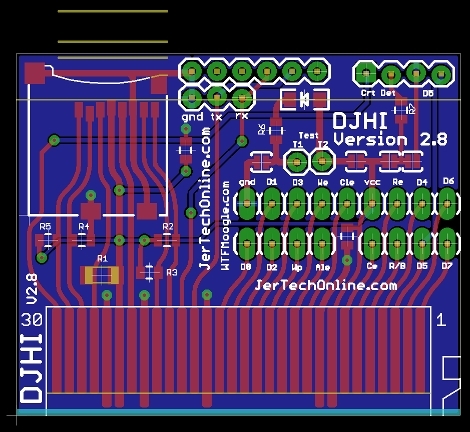 The DJHI 2.8 is now available for preorder. The DHJI acts as an alternative serial connection in order to protect the Didj from the 12V signals it would be exposed to with a direct serial connection to your PC. 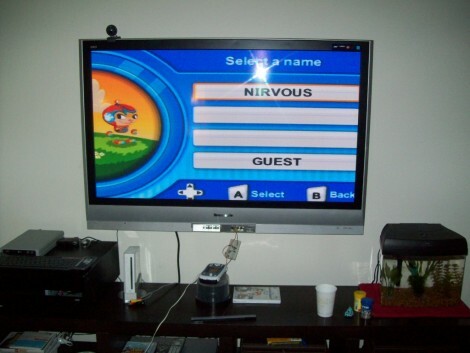 It also adds in a microSD card slot and makes the connection process as simple as plugging it into the cartridge slot. [The Moogle], who was the winner of our second Barcode Challenge, also tipped us off about his hack that upgrades the Didj to 64 Mb of RAM.